Volvo Cars Sweden has been a partner and sponsor to the Swedish Football Association since 2010. 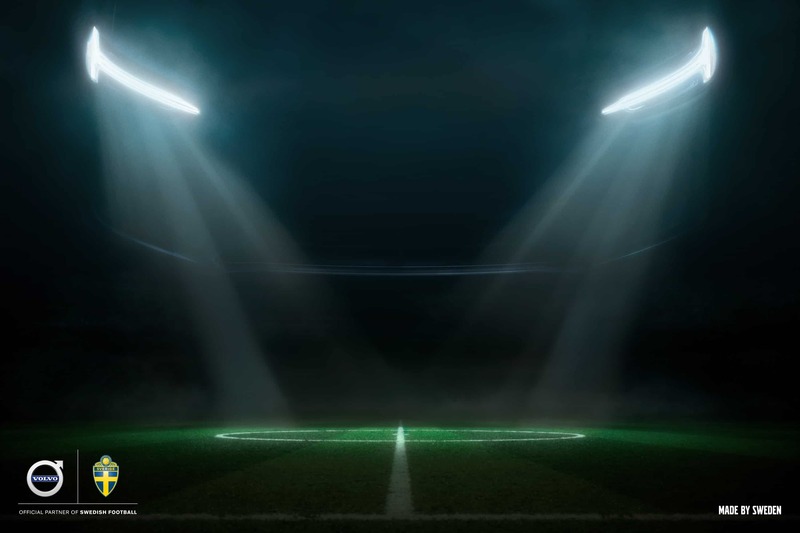 Leading up to the win-or-go-home game of Sweden against Mexico in the World Cup (which Sweden won 3-0 to advance in the tournament), Volvo Cars highlighted its longstanding partnership with the Swedish national football/soccer team. 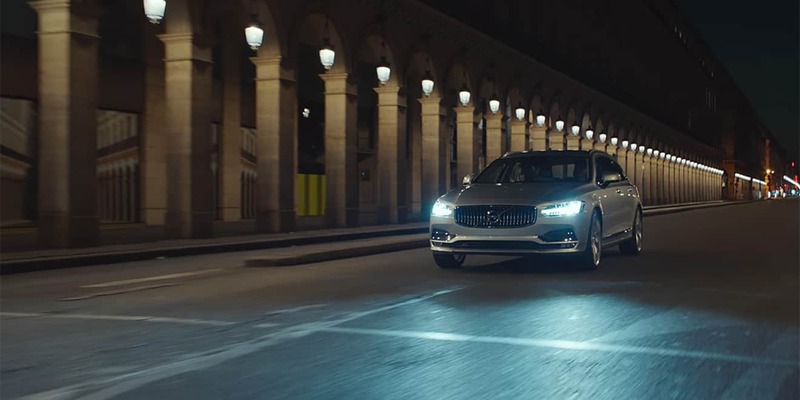 The double-page ad features a visual trick combining a stadium with the characteristic “Thor’s Hammer” headlights of the Volvo V60 to create an illusion that is both a stadium at night and the front of a Volvo. The ad was created by creative agency Forsman & Bodenfors. “We realized that the headlights of the car looked pretty similar to arena lights and decided to play on that. The mood of the ad is very much in line with the mood of the Swedish football fans leading up to this very important game,” says Karl Risenfors, art director. Volvo Cars Sweden has been a partner and sponsor to the Swedish Football Association since 2010. In 2017, they jointly established the “Number 10” initiative, with a yearly scholarship of 1M SEK to projects and initiatives that develop Swedish football. The name “Number 10” refers to the number on the jersey of Swedish footballer Zlatan Ibrahimovic, while playing for the Swedish national team. Ibrahimovic has been part of previous Volvo Cars campaigns and is the patron of the Number 10 initiative. The imaginative print ad will also be running on the Volvo Cars Sweden’s Facebook page.